Doing something for the first time can cause jitters – that is what I could read from the faces of the team of NGO communications practitioners that was going to shoot and produce a television story for the first time. The story was an assignment during the “Strengthening the Representation and Portrayal of Women in the Media in East Africa ” training by Commonwealth broadcasting Association and UNESCO. Off they took a trip to wonder world. 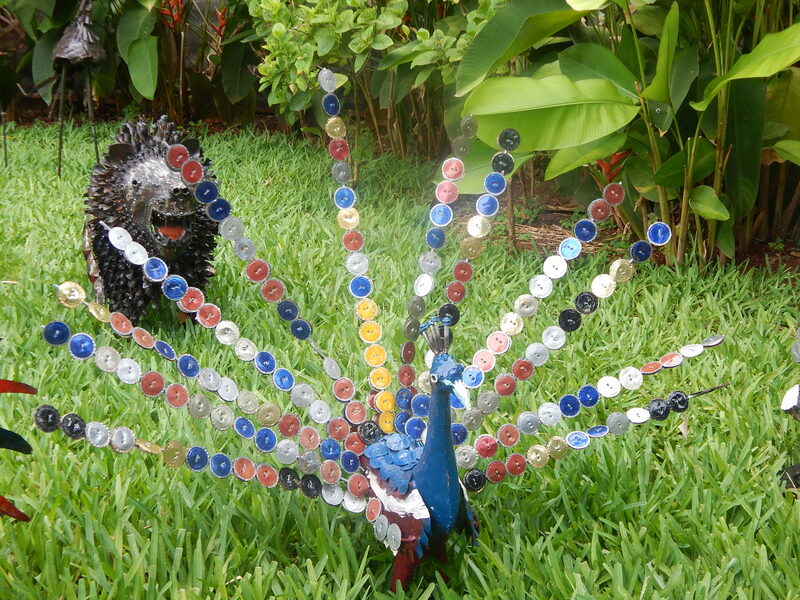 Wonder world is an incredible place in a Dar es Salaam where the disabled people that once used to beg on the streets have been handed a second chance to turn scrap metal into anything they choose. A large crocodile greets the team and when they get out of the car- lo and behold there is a zoo – Lions, a variety of bird species, fish and even monkeys. As if filming for the first time is not challenging enough, I am beginning to worry about the distractions that the wonders of Wonder Welders might cause. 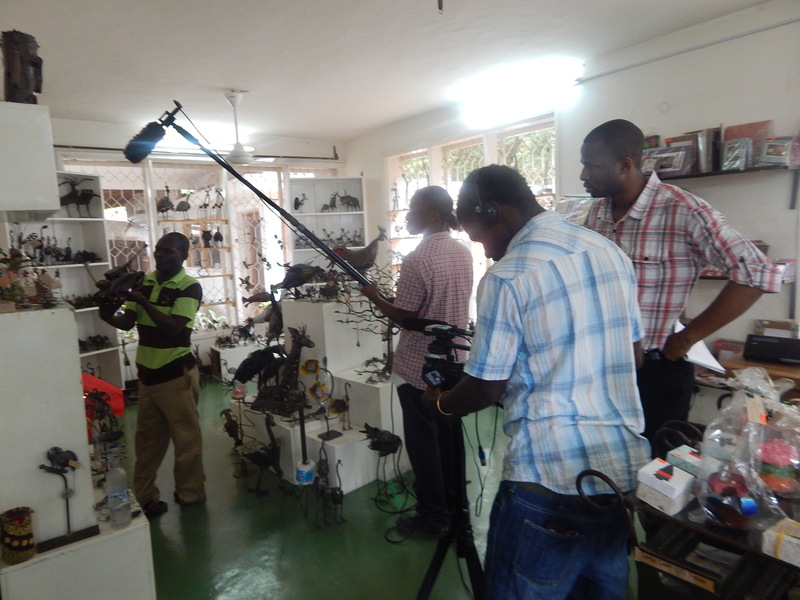 After being introduced to the manager Shukulu, the video team took a tour around the project to identify what possible stories they might want to film- from onset, the disabled men in the workshop that made the welding work intrigued them because they made the work look very easy. Once the team had come up with an angle, they divided up the roles since the camera crew were available, a director, someone to interview were selected from the team. Now that the team and story angle were in place, questions in place, they wanted faces behind wonder welders; everybody seemed to agree that Shukuru was the perfect choice for the first interview he has been there from the start, he had risen in ranks to manager- perfect pacesetter for the story. What about the gender aspect, that was a question that lingered in the minds of the team. So they headed to Aisha Alfan the lady that had greeted us with a smile in the paper workshop as we were building rapport. As the plot was climaxing, the team was convinced that it was key that other people are inspired by the work of wonder welders. The inevitable choice was Joyce a mother of two married to a deaf man and a sole breadwinner of the family that was an amazing story. The interviews started, I could tell that some of the team members were beginning to resign because at that point, the journey seemed so far and how in the world would all this footage be cut to only three minutes? Thank God for Salim, the team’s amazing cameraman by the time the team got to the studio, he had already organized the footage into folders. Now the task ahead was to write a script in as few words as possible- I discovered that if you are the kind of person that clings onto things, video editing is not for you- we let go of lots of things including Joyce’s voice and opted to narrate her experience because she was a slow speaker. We reviewed the videos, identified the plot of the story, cut-a-ways. The story was unfolding- the first ten seconds of the story meant everything- a catchy first line was a must- no ifs no buts otherwise the viewers will walk away to grab coffee or if they are like me that watches news with a remote in my hands, I will have already changed the channel to watch something that is more interesting. The story had been formed; there was relief on many faces on the team. What remained was the icing on the cake; voice-overs and behold the story was ready to be served. Teamwork is everything in this game; that was the take-away lesson for me.